Cambodia, Siem Reab Prov, Sleeping Girls in Angkor Wat - Angkor Wat is so amazing. Admittedly, I am inspired by the figures of the Aspareses, the goddess-like women whose stone reliefs adorn the walls of the temples there. 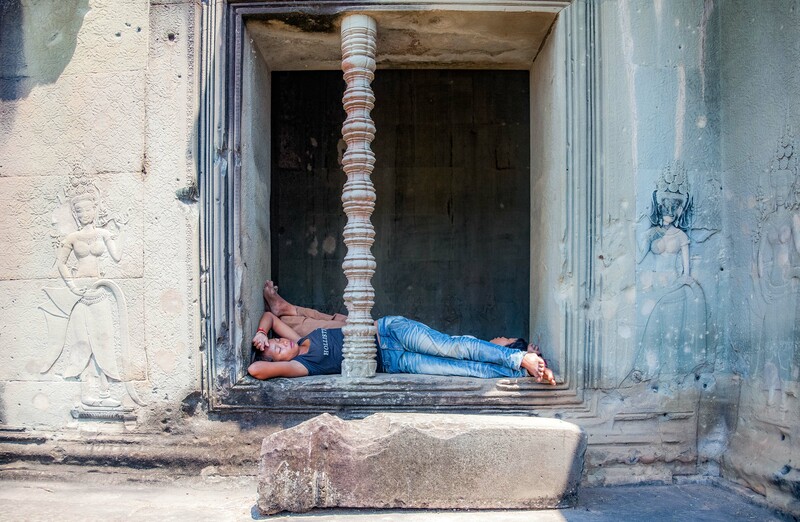 An example is seen on the wall left of the opening where two young Cambodian girls take a nap. We should rejoice in beauty.